Following the success of Strathcona coming first in both the Senior Secondary and Primary divisions of the VITTA Video Challenge (3in6) last year, this year our Primary team came first and our senior secondary team came a close second to an outstanding entry from PLC. Students from Strathcona’s junior school (Mellor House) have taken first place in a national video production competition that requires students to make a short film in less than six hours. The 6 students from Year 6 won the Primary category of the VITTA 2012 Video Challenge with a three-minute video titled Start Here Go Anywhere. 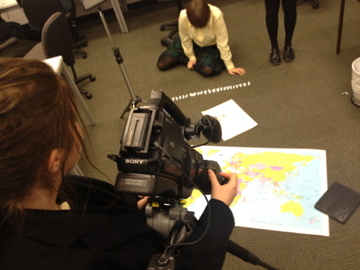 In the video, students take turns to present direct to camera, and to interview older students and adults, to explain how computers offer a starting point that can take people of all ages anywhere. A team from Strathcona’s senior school came second in the competition’s Senior Secondary Division. Their entry is called Paper Thin Life. It uses music, maps and a series of whimsical illustrations to show that life is itself a journey. Each video was completed in less than six hours. The students supplied the storylines, acting and narration, sourced music, and undertook all the necessary production with the support and guidance of Dr Tim Kitchen, the Director of Learning Technologies. The national video competition has been running for nine years. Formerly known as the 3-in-6 competition, it requires students to work as a team or individually to write and produce either a three-minute film or a one-minute animation in six hours. Each entry must feature two secret ingredients (a phrase and an object) that are not revealed to the teams until they start. This year the phrase was “Start here go anywhere” and the secret object was a map. The competition’s key sponsor is the Victorian Government’s Department of Business and Innovation who have a ‘Start here go anywhere’ campaign to encourage young people to consider a career in IT. 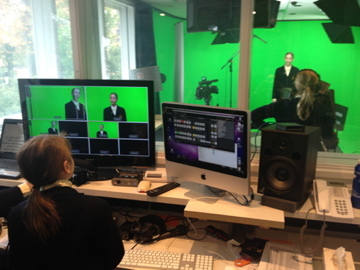 Dr Kitchen said video production was a key aspect of teaching information technology and multimedia at Strathcona, which has its own internet TV station and studio. The winning videos can be viewed at http://alturl.com/6pb2y. A special awards ceremony will take place at Federation Square on September 7 during ICT Week celebrations.